When visiting Austin Texas, it's hard to miss one of the best convention centers located in the heart of town, walking distance from the famous 6th street bars and restaurants, making it the perfect home for your trade show and convention with the energy of the city directly next door. Choose from our selection of trade show displays and portable exhibits to make your brand stand out in this multi-cultral city in the heart of Texas! Austin happens to be home to one of our sales office locations, and this convention center is literally in our backyard as we spend every week supporting customers to ensure we meet and exceed their trade show booth needs. From portable display solutions to banner stands and overhead hanging signs, we have you covered in Austin TX. The Austin Convention Center is located at 500 E Cesar Chavez St, Austin, TX 78701, in the heart of downtown and walking distance to the famous 6th street and other venues for food and drinks, allowing you to take a break after the trade show activity and make your way into the entertainment district to count all the business you did throughout the day! What types of products are suggested in Austin? Run-of-the-mill velcro displays pale in comparison to their eye-catching substitute, graphic displays. A visual trade show booth is a shoo-in for establishing widespread appeal. As it happens, graphic displays are presumed to attract a considerably larger audience. Give your brand a display that packs an alluring punch with one of the following. 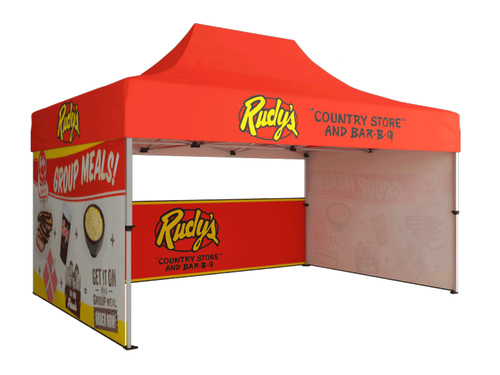 Pop up displays, Retractable banners and stands, Transportable displays and exhibits, 10x10 booths, banner stands and overhead hanging signs! What can I do to stand-out in Austin? Propelling to the forefront of the industry requires a healthy dose of individuality. While trade show booths serve as an excellent outlet for promoting your products, they also give you an opportunity to convey your uniqueness. If your company lacks distinction, it’ll likely fall by the wayside. Of course, no brand wants their company to be deemed insignificant, so it’s crucial to give your brand a standout edge. Sizing up the competition is one way of avoiding similarities and establishing your originality.